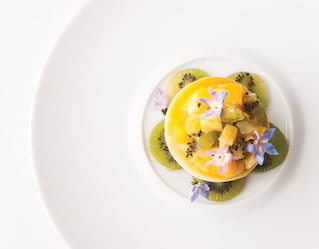 ‘21’ has it all; a refined interior dotted with eclectic ornaments gifted by silver screen legends; a formidable bar team and award-winning wine list; the kind of cuisine that begs to be shared. And that’s before you’ve entered the secret wine cellar. If you want to party like it’s Prohibition, you’ve come to the right place. Restoration magic has taken place on the private event floors at '21'. Our ten revitalized and beautifully decorated private dining rooms are now reopened just in time for your seasonal celebrations and end of year events. 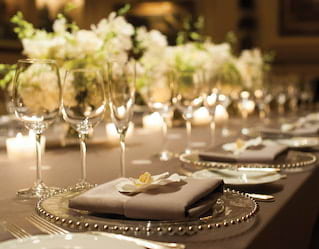 For more information or to book contact us at 1-212-582-1400 or planevent@21club.com. Give business events or corporate meetings a twist of eccentricity. 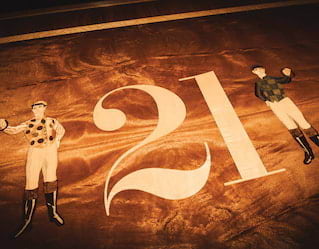 Where the colorful past meets a thriving present, ‘21’ also features state-of-the-art facilities and 10 private event rooms that can be adapted to suit your requirements. 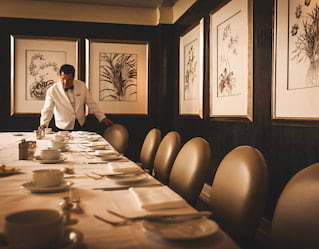 Collaborating with our events team, we’ll tailor every detail for the most memorable meeting. Celebrate the festive season in classic New York style. Each private event room is beautifully decorated for the holidays bringing a little something extra to your end-of-year celebrations. Award-winning wines. Sumptuous cuisine. A playful atmosphere. 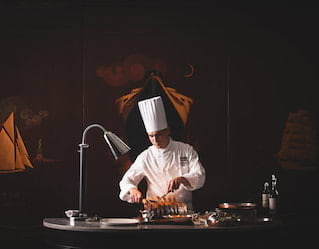 Create the ultimate atmospheric feast with the help of our talented team. Our 10 private rooms boast original artworks and unique interiors, providing the perfect canvas for parties of 10 to 200. 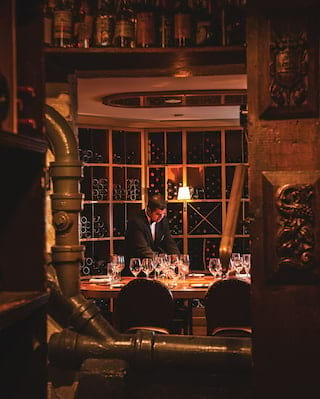 Alternatively, why not stage a secretive celebration in our hidden Prohibition-era wine cellar? Once completely secret, our ‘hidden’ wine cellar today sets an elegant scene for private lunches or dinners in signature ‘21’ style. Feast on a sublime seven-course tasting menu that’s accompanied by a handpicked series of wines from our cellar boasting some 20,000 labels. Regarded as one of the city’s most original dining experiences, echoes of Prohibition remain, but our daring menu is cutting edge. Stage a spectacular reception in one of the most unique venues in NYC. With a variety of private dining rooms to choose from, our team will finesse the finer details for intimate gatherings or soirees on a grand scale. 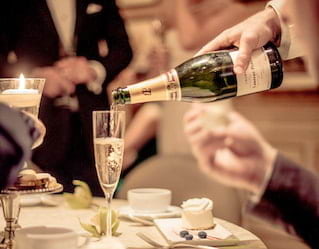 From rehearsal dinners to engagement celebrations or bachelor parties, ‘21’ has mastered the formula for unforgettable celebrations. Pop the question in timeless style at this New York icon. Well versed in the art of romance, our professional party planners will guide you through the day and help perfect every last detail—right down to hiding the ring in a specially prepared dessert. Alternatively, share your ideas and we’ll work with you to stage a proposal with your signature stamp on it. There’s nothing quite like a coming-of-age party in one of New York’s most storied haunts. Whether you want to stage something intimate in our notorious wine cellar or throw a lavish celebration for hundreds of guests across two sprawling floors, there’s no limit to what our planners can do. Just ask. Expand your knowledge on an expert-led tasting with Wine Director Phil Pratt. Take an insightful induction into the art of oenology as Phil leads you and your party through the history of global varietals. 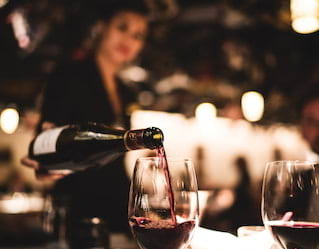 Learn how to distinguish between a delicate pinot noir, robust rioja or soft, silky syrah. Then gain insider knowledge on the best cuisine to pair with each grape for a complete gourmet affair. 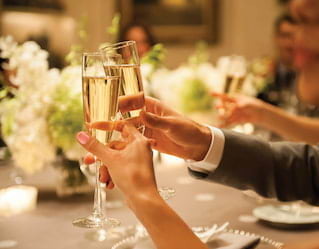 Host a private event with us, and we’ll ensure the cuisine is every bit as sensational as the venue. From delicious hors d’oeuvres that complement your cocktail reception to tailored lunches and dinners with acclaimed wines, we’ll create a feast worth writing about. Download our sample menus below, or contact us to create something totally unique. From the charming Puncheon Room to the hidden Wine Cellar, find a selection of great spaces for all types of meetings and events.